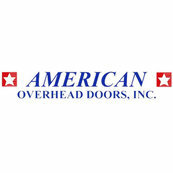 14 omdömen för American Overhead Doors, Inc.
Kommentar från American Overhead Doors, Inc. Thank you so much! It was a pleasure doing business with you and Cindy! Thank you Shaun. We are so happy you had a great experience and look forward to working with you in the future! It was a pleasure helping you with the addition of the new door, so happy we explored the options together and you definitely nailed it with your choice!! Thank you so much!! !